There’s no denying it. People love to shake their iPhones . It’s almost as if they want to see how much they can shake it before it breaks. But shaking it is half the fun, especially when apps take advantage of the built-in accelerometer to turn shaking into a feature. 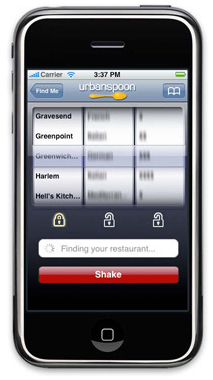 One of the earliest apps to make shaking a central element of its interface was Urbanspoon, the restaurant recommender. You shake the slot-machine inspired app to find nearby restaurants. Since launching in the summer of 2008, Urbanspoon’s iPhone app has been shaken more than half a billion times. The app has been installed more than 9 million times, and continues to be popular (currently it is the No. 5 most popular free app in the Travel category, right after Yelp). Since being acquired by IAC last year (it is now part of the Citysearch business), its Website has also grown. 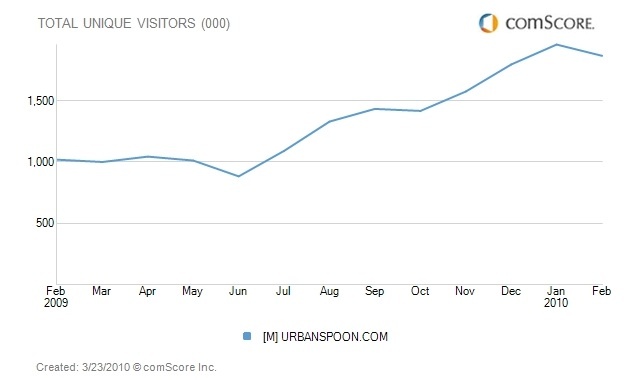 According to Citysearch’s internal numbers, Urbanspoon.com is getting 7 million monthly unique visitors, up 220 percent from a year ago right before the acquisition.